Having announced that we’d be getting the new series of Doctor Who on a Monday — not that, as I noted at the time, it had much choice — the ABC has confirmed when we’ll actually be able to watch the new series. The ABC was always going to be in a bind for its Monday schedule, with stalwart shows 7:30, 4 Corners and Q&A all eating up the schedule. Running it later would effectively be burying it, so it’s running it a little earlier instead. It’s appreciably close to the “classic” 6pm time that Who fans from the late 1970s and early 1980s would recall, actually. It will be interesting to see the tone of the new series, given that early timeslot, and quite how far it might push what’s generally assumed to be a “PG” style timeslot. Still, I’m sure some will complain that they’re not home from work, or that it’s not good for their family schedules and such. Here’s the thing, though: TV watching habits have changed, and they’re not changing back. 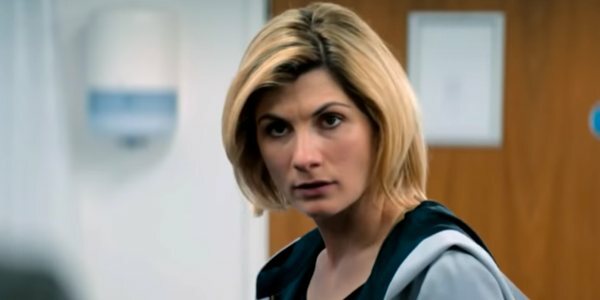 Increasing numbers of viewers are watching via catchup services such as ABC iView, and it appears that Doctor Who will air there first anyway. If you’re fussed about spoilers, watch it early in the a.m to dodge those. If you want to watch it later, it’ll be on iView, or you could invest in something like the excellent Fetch Mighty PVR to record its ABC 5:45pm showing and watch it — entirely legally, due to the fuzzy way that timeshifting works under Australian copyright law — whenever you like. You’re basically spoilt for choice, and there’s zero chance you’ll miss an episode you might want to watch, which was a very real issue back when we were all stuck with broadcast TV schedules and nothing else.